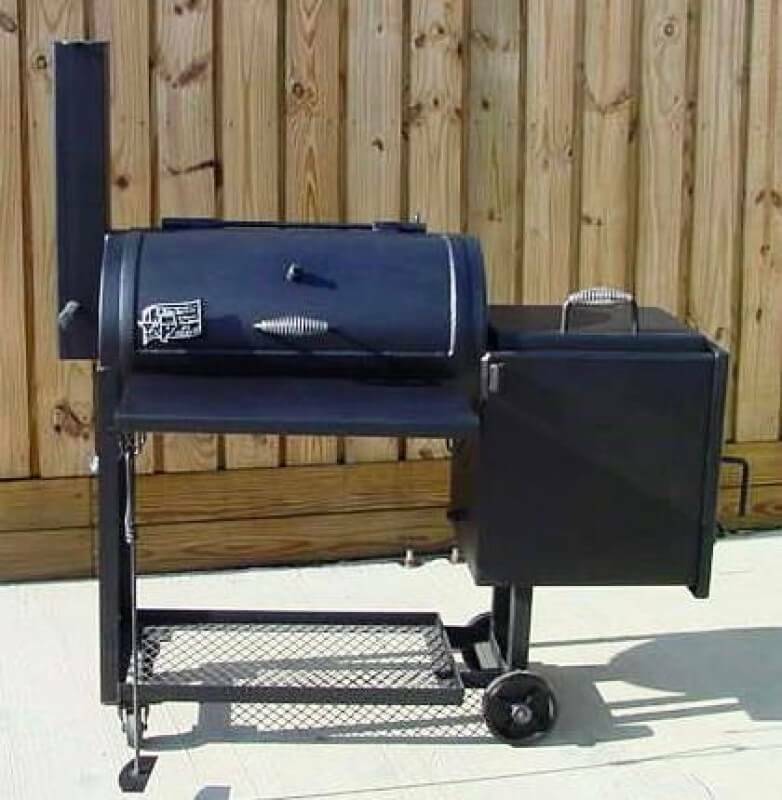 A Tejas Smokers® barbecue pit is made with heavy plate steel insuring a lifetime of trouble-free use. Doors latch securely. 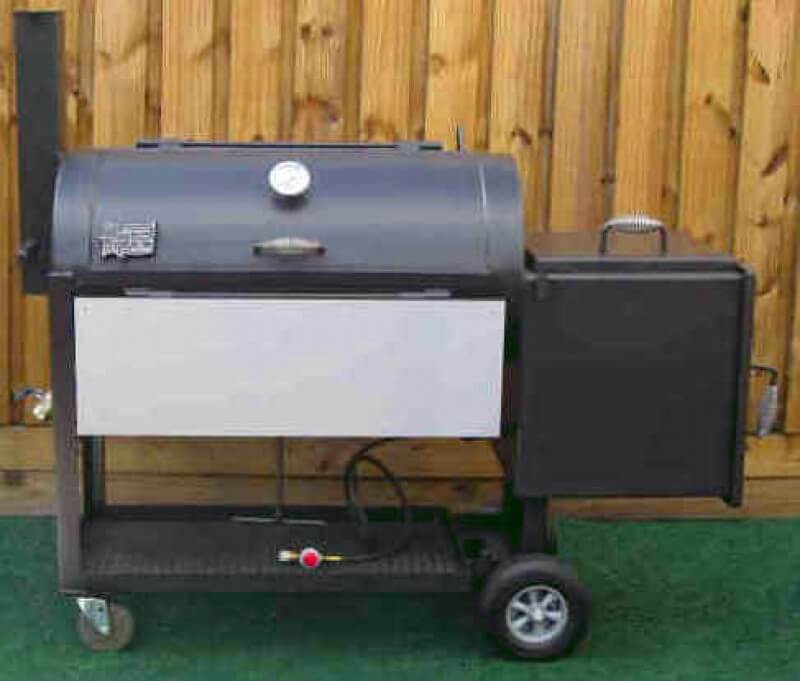 Flange-sealed lids on these barbecue smoker pits contain the smoke and heat to insure evenly cooked food. An often asked question: "Should I buy a barrel pit with an offset firebox (model 1628, model 2040, or model 2442) OR a barrel pit with a vertical chamber and an offset firebox (model 1628CC or model 2040CC)?" Response: The answer is that it depends on what you want to cook. You need to realize that a barrel pit with a vertical chamber is going to have about a 100 degree cooler temperature in the vertical (upright) chamber than in the barrel. The upright will see a maximum temperature of 180 to 190 degrees while the barrel is at 275 degrees. This is the physics of the design, regardless of who manufactures the pit. You do not want to raise the temperature of the barrel past 300 degrees or you risk burning all the paint off your firebox. Anyway, cooking at temperatures above 300 degrees is not smoking...it is incinerating. 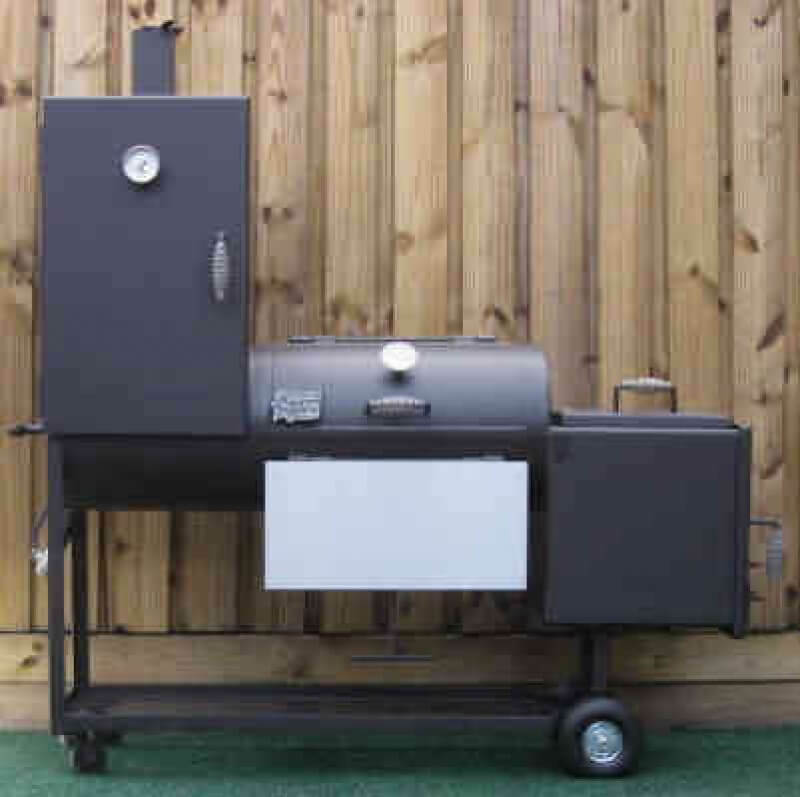 If you want to be smoking things like fish, cheese, bacon, sausage, or beef jerky which are cooked at temperatures no higher than 180 degrees, for example, at the SAME time you are smoking briskets, ribs, and chicken in the warmer barrel then the vertical chamber/barrel/offset firebox design is perfect for you. On the other hand if you only want to be cooking things like briskets, ribs, and chicken then put your money into the largest barrel pit you can afford. Load it up with meat. A barrel/offset firebox pit is much simpler to operate. Don't think that a vertical chamber can be loaded up with briskets and ribs and chicken at the same time you load up the barrel with the same thing and everything is going to be finished at the same time. It won't happen. The most often comment by a pit buyer: "Jim, I LOVE MY PIT! But...if I had only bought the next size up." Response: Check the bbq blogs. Check the BBQ Forums. Post the question "What size pit should I buy?" Your response back will be something like: "Buy the largest pit you can afford." Or you will hear: "Buy the next size up." After manufacturing pits for almost 25 years I have heard this many times. After folks purchase a Tejas pit they always love it and realize how easy it is to cook on. Then they often regret they did not buy the next size up because it takes the same amount of effort and the same amount of time to cook on a model 2040 versus the much larger model 2442. Why not just load up the bigger pit and freeze the extra cooked meat? Use a vacuum freezer bag sealer and do it right. Think ahead, if you buy the smaller pit and then really want the larger one...what are you going to do with the smaller pit? They last a lifetime. Buy the largest pit you can afford. You will thank me later on. 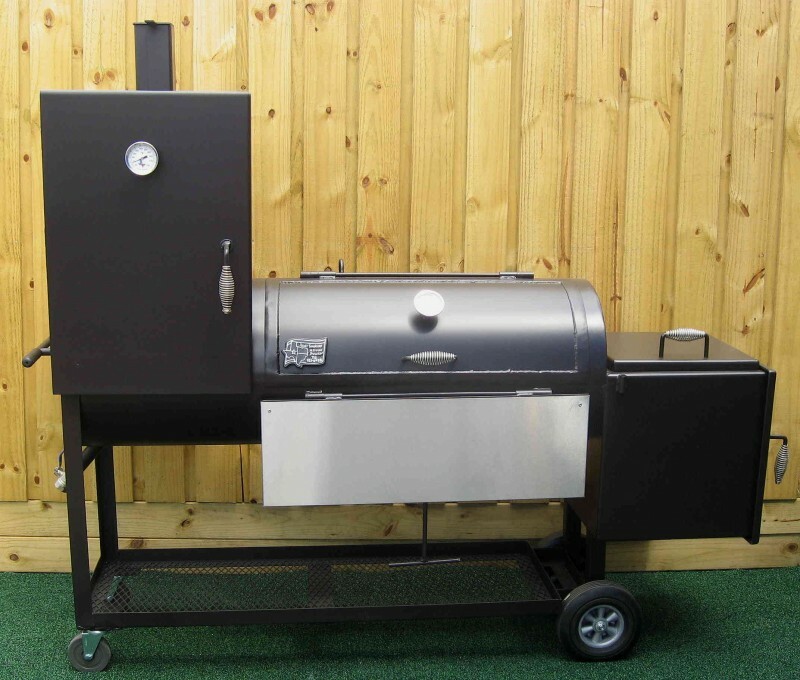 All Tejas barbecue pits are bbq smoker pits that come with a limited Tejas Smokers® Lifetime Firebox Burnout Warranty! 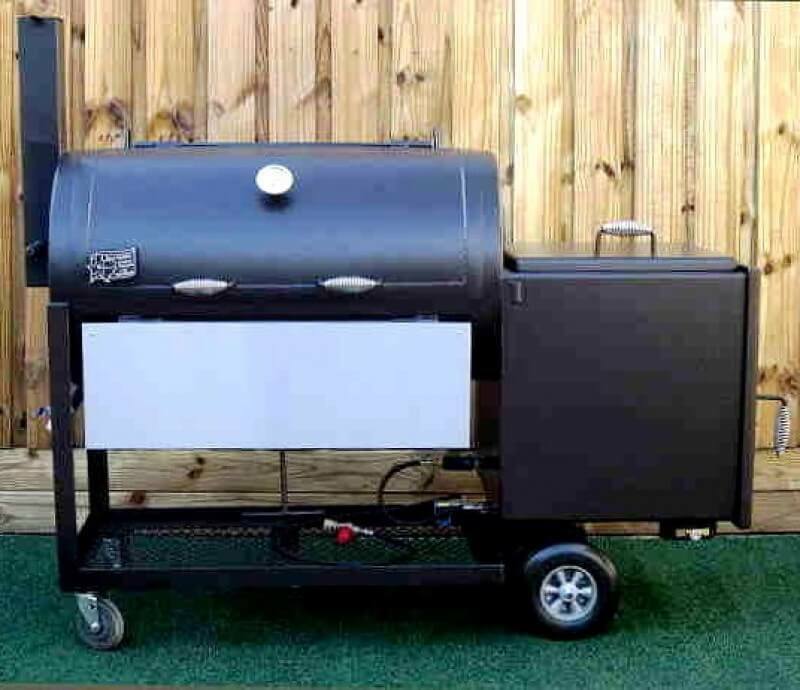 Call it a bbq pit or barbecue pit, a wood smoker, stick burner, or a bbq smoker pit ...we call ours a Tejas Smoker® from Houston, Texas.